On a cold Wednesday evening in November we went down to The Kings College site just off the strand int he hope that some sunny California girls could brighten up our evening. 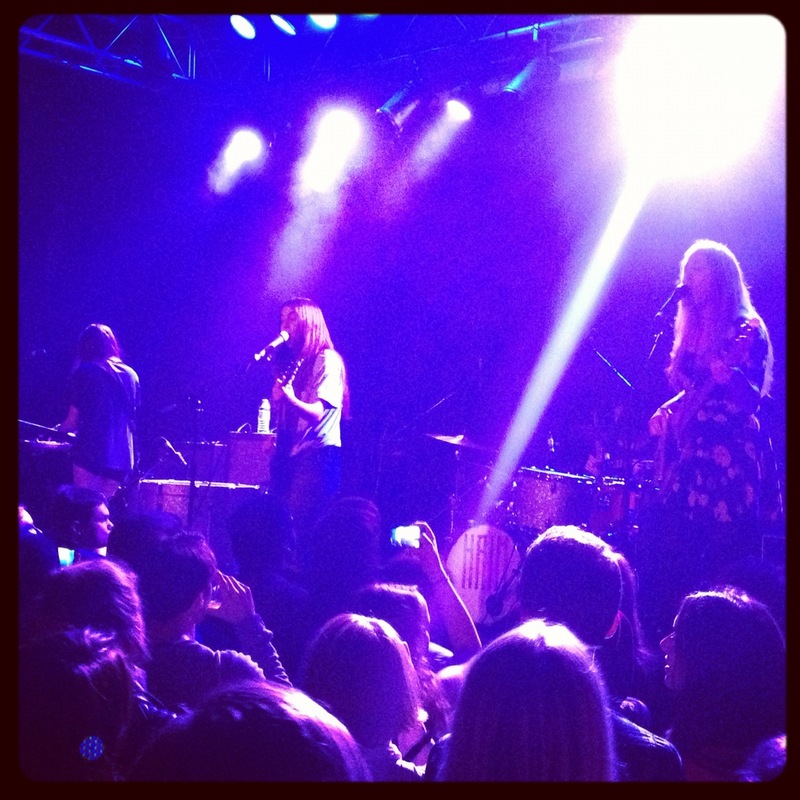 Haim consist of three sisters with a west coast sound that’s oh-so nu-folk-nineties. They are one of my favourite musical things from 2012 because they come from a movement of bands like Tribes, Palma Violets, Savages and Pond, who for the first time in a decade, have all threatened to show up everyone who had come before them. When I first heard their debut song, Forever, it instantly sent me straight back to my memories of California, where I was earlier on the year for Coachella, so I was hoping their show would do the same. True to the sounds heard on their EP, these girls made us forget about the bitter cold outside and got us rocking out and our heads shaking and forget about she bangs the drums, it was all about they bang the drums as they finished off with each of them pounding in unison while the crowd went wild. They’ve taken girl power to the next level and are certainly ones to watch in 2013. Now all that’s left to do is sit back and wait for them to release their album and catch them on the festival circuit next year, which I’ve no doubt that they’ll rock just as hard, if not harder, then they did at this gig.